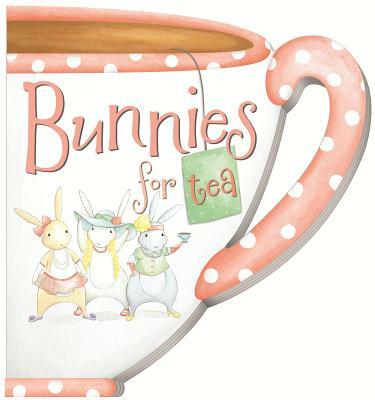 This chunky, teacup-shaped board book about a bunnies' tea party features rhyming text and soft illustrations. It's a sweet little treat for teatime or any time. All dressed up in their fanciest clothes, three bunnies get ready for a tea party in this whimsical, teacup-shaped board book. Soft watercolor illustrations bring the little story to life, which features three bunny friends all dressed up in hats and feather boas for their afternoon tea. Sweetly rhyming text carries the bunnies through their preparations and then one tiny disaster, made instantly better by friends and cookies.